Our silver trimmed rose can now be personalized with your message to make a great gift and lifetime keepsake. 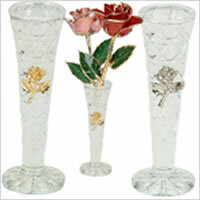 Start with a fresh real rose, add clear lacquer to preserve it and then trim the petals and stem in silver. This process allows the natural color of the rose to show. 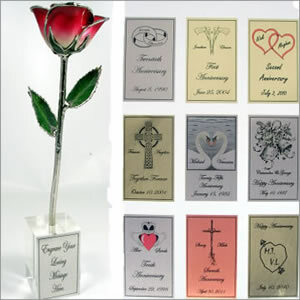 The Personalized Silver Trimmed Rose is a great Anniversary Gift that will last for years to come. Rose is as expected, shipping time was reasonable. No complaints.